Tamyra Monica Gray (born July 26, 1979)  is an American actress, singer and songwriter, who finished fourth place on the first season of the musical reality competition American Idol in 2002. Post American Idol, Gray has begun acting on Broadway and television. She had a recurring role on the third season of the drama series Boston Public in early 2003. American Idol is an American singing competition television series created by Simon Fuller, produced by Fremantle USA and 19 Entertainment, and distributed by Fremantle North America. It initially aired on Fox from June 11, 2002, to April 7, 2016, for 15 seasons. On March 11, 2018, the sixteenth season debuted on ABC. Takoma Park is a city in Montgomery County, Maryland. It is a suburb of Washington, D.C., and part of the Washington metropolitan area. Founded in 1883 and incorporated in 1890, Takoma Park, informally called "Azalea City", is a Tree City USA and a nuclear-free zone. A planned commuter suburb, it is situated along the Metropolitan Branch of the historic Baltimore and Ohio Railroad, just northeast of Washington, D.C., and it shares a border and history with the adjacent neighborhood of Takoma, Washington, D.C. It is governed by an elected mayor and six elected councilmembers, who form the city council, and an appointed city manager, under a council-manager style of government. The city's population was 16,715 at the 2010 national census. Stone Mountain High School is a college preparatory and public high school located in unincorporated DeKalb County, Georgia, United States, near Stone Mountain and in the Atlanta metropolitan area. It is one of the oldest high schools in the DeKalb County School System. Color Me Badd is an American contemporary R&B group that was formed in Oklahoma City, Oklahoma. The original members of the group were lead singer Bryan Abrams, second tenor Mark Calderon, second tenor Sam Watters and baritone Kevin Thornton. They formed in 1985 and broke up in 1998 before reuniting in 2010, with various lineups since. As of 2016, they operate as a trio with Abrams, Calderon and Adam Emil. Samuel Joshua "Sam" Watters is an American singer, songwriter, record producer and record executive. Watters was a member of the multi-platinum selling 1990s R&B group Color Me Badd and co-authored many of their hits including “I Adore Mi Amor”, and “All 4 Love”. Watters has also written and produced songs for Grammy-winning and nominated artists such as American Idol winners Fantasia, Kelly Clarkson and Jordin Sparks, and other superstars such as Céline Dion, Whitney Houston, Leona Lewis, and Anastacia. Watters is a member of the production/songwriting team The Runaways including fellow hitmakers Rico Love, Wayne Wilkins, Ryan Tedder, and Louis Biancaniello. "The Dreamer'" is the debut album by American Idol Season 1 4th placed finalist Tamyra Gray. It peaked at number 23 on Billboard 200 with a first-week sales of 39,000. In 2002, Gray became one of the ten finalists on the first season of American Idol , eventually finishing fourth. Her performance of the Burt Bacharach classic "A House Is Not a Home" was described by Judge Simon Cowell as "one of the best performances on television" that he had ever seen. Burt Freeman Bacharach is an American composer, songwriter, record producer, pianist, and singer who has composed hundreds of pop songs from the late 1950s through the 1980s, many in collaboration with lyricist Hal David. A six-time Grammy Award winner and three-time Academy Award winner, Bacharach's songs have been recorded by more than 1,000 different artists. As of 2014, he had written 73 US and 52 UK Top 40 hits. He is considered one of the most important composers of 20th-century popular music. "A House Is Not a Home" is a 1964 ballad recorded by American singer Dionne Warwick, and written by the team of Burt Bacharach and Hal David for the 1964 film of the same name, starring Shelley Winters and Robert Taylor. The song was a modest hit in the United States for Warwick, peaking at #71 on the pop singles chart as the B-side of the top 40 single, "You'll Never Get to Heaven ". Another version of the song, by Brook Benton, which was the version that appeared in the film, was released at nearly the same time. It debuted two weeks earlier on the Billboard Hot 100. Benton's version split airplay with Warwick's, and ultimately peaked at #75. Simon Phillip Cowell is an English television music and talent show competition judge, A&R executive, entrepreneur, entertainment manager and consultant, television producer, and critic. He has judged on the British TV talent competition series Pop Idol, The X Factor and Britain's Got Talent, and the American TV talent competition shows American Idol, The X Factor and America's Got Talent. Cowell is the principal founder and chief executive of the British entertainment company Syco. "Have Yourself a Merry Little Christmas" is a song written by Hugh Martin and Ralph Blane and introduced by Judy Garland in the 1944 MGM musical Meet Me in St. Louis. Frank Sinatra later recorded a version with modified lyrics. In 2007, ASCAP ranked it the third most performed Christmas song during the preceding five years that had been written by ASCAP members. In 2004 it finished at No. 76 in AFI's 100 Years...100 Songs rankings of the top tunes in American cinema. The Fox Broadcasting Company is an American commercial terrestrial television network that is a flagship property of Fox Corporation, a subsidiary of 21st Century Fox. The network is headquartered at the 20th Century Fox studio in Los Angeles, with additional major offices and production facilities at the Fox Television Center also in Los Angeles and the Fox Broadcasting Center in New York City. "I Believe" is the debut single released by singer and American Idol season 3 winner, Fantasia Barrino. The song significantly helped Fantasia rise to fame. The song was co-written by former American Idol contestant Tamyra Gray and was released on June 29, 2004. "I Believe" peaked at number one on US Billboard Hot 100 and Canadian Singles Chart and number four on Australian ARIA Singles Chart. It was included on her debut album Free Yourself, released on November 23, 2004. Fantasia Monique Barrino-Taylor, known professionally by her mononym Fantasia, is an American R&B singer, songwriter, and actress. She rose to fame as the winner of the third season of the reality television series American Idol in 2004. Following her victory, she released her debut single, "I Believe," which debuted at number one on the Billboard Hot 100. Subsequently, she released her debut album, Free Yourself, which went on to be certified Platinum by the RIAA and earned Barrino three Grammy nominations in 2006. Diana Nicole DeGarmo is an American singer/songwriter and actress. She rose to fame in 2004 as the runner-up of the third season of American Idol, releasing her debut studio album, Blue Skies, later that year. The following year, DeGarmo ventured into a career in musical theatre. She has starred in two Broadway, one off-Broadway and three national tours. She made her television acting debut in a six-month arc as Angelina Veneziano on The Young and the Restless. DeGarmo has since released two extended plays, Unplugged in Nashville (2009) and Live to Love (2012). She is married to fifth season American Idol finalist Ace Young. After American Idol, creator Simon Fuller signed Tamyra to his newly formed independent record label, 19 Records, a division of his 19 Management, Gray's first solo album, The Dreamer , which Gray wrote herself, was eventually released on May 25, 2004. The album sold 39,000 copies during its first week in release and has sold 122,000 to date. The H. Hector and J. Vasquez mixes of Tamyra's lead single, "Raindrops Will Fall," peaked at number five on Billboard's Hot Dance Music/Club Play chart; another set of remixes of the same song also hit number nine on that chart. Gray later parted ways with 19 Entertainment but remains close with Fuller, who attended her wedding to Sam Watters in Capri, Italy. Gray performed a duet with American Idol season one winner Kelly Clarkson on Clarkson's debut release Thankful . The song, entitled "You Thought Wrong," was co-written by Gray but never released as a single. 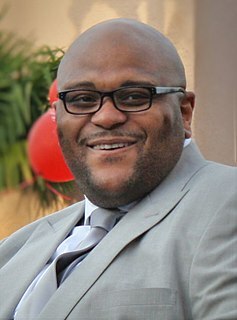 Gray was a co-writer and back-up singer on Jessica Simpson's album A Public Affair , which was released August 29, 2006. She is listed fourth in writing credits on the songs "If You Were Mine" and "The Lover in Me", and sang back-up on "If You Were Mine" . The CD debuted on Billboard's 200 Chart at number five. Gray was reported to be in the process of recording a new album. Gray called it more club-friendly, hip-hop-based project than her debut. She is also in the process of finding a record label. Tamyra tweeted that she was in the studio recording a new album with Ryan Tedder and the production team The Runaways which her husband Sam Watters is part of. They had planned to release her album through a major label in 2010. She landed the recurring role of Aisha Clemens, a student in an abusive relationship, on Boston Public , appearing in seven episodes in 2003. She showcased her singing abilities, famously covering Luther Vandross' "Dance With My Father" and Dolly Parton's "I Will Always Love You". She has had guest roles on episodes of Half and Half , Las Vegas , Tru Calling , What I Like About You (TV series) , Ghost Whisperer and All Of Us . With other American Idol alumni, she appeared on The Tyra Banks Show in 2006. She has starred on Broadway twice. In November 2004, Gray was cast for a limited engagement of twelve weeks in the role of Priya in Broadway's struggling Bombay Dreams . Due to continued poor grosses, the show closed early on January 1, 2005. She joined the cast of Rent as Mimi Marquez on May 29, 2007 and was scheduled to play the role until November 25, 2007, however, that six-month contract was extended. Gray performed in Rent until June 15, 2008 and was replaced by Renée Elise Goldsberry. In October 2005, Gray made her big screen supporting role debut in the independent film The Gospel , which debuted at No. 5 at the box office, and also had strong DVD sales when it was released to stores on January 3, 2006. Gray has one song, "Now Behold the Lamb", featured on the movie's soundtrack, which climbed to No. 1 on Billboard's Soundtrack Chart. Her second movie role was in the 2008 movie Rachel Getting Married . Kelly Brianne Clarkson is an American singer-songwriter and television personality. She rose to fame in 2002 after winning the inaugural season of the reality competition television series American Idol, which earned her a record deal with RCA Records. Clarkson's debut single, "A Moment Like This", topped the US Billboard Hot 100 chart and became the country's best-selling single of 2002. It was followed by the release of her debut album, Thankful (2003), which debuted atop the US Billboard 200. Trying to reinvent her image, Clarkson decided to part ways with Idol management and shifted to pop rock music for her second album, Breakaway (2004). After numerous top 40 radio number-one singles, such as "Since U Been Gone" and "Because of You", the album sold over 15 million copies worldwide and earned Clarkson two Grammy Awards. Breakaway is the second studio album by American singer Kelly Clarkson, released on November 30, 2004, by RCA Records. The album is a follow-up to her successful debut album, Thankful (2003). Executive produced by Clive Davis, Breakaway sees Clarkson collaborating with various producers and songwriters for the first time, primarily Dr. Luke, Max Martin, John Shanks, Kara DioGuardi, Ben Moody, and David Hodges; the latter two are former members of American rock band Evanescence. Despite the established commercial success of Thankful, music critics still continued to typecast Clarkson as an American Idol winner and were also critical of her attempts of establishing a commercial appeal on her own. Wanting to stray from those, she was convinced by Davis to work with Dr. Luke and Martin in Stockholm, and with Moody and Hodges in Los Angeles, in pursuit of a pop rock direction. This also led her to part ways with her manager Simon Fuller and hire the management services of Jeff Kwatinetz before the album's release. Breakaway is predominately a pop rock album with elements of rock and soul music, marking a departure from the R&B-oriented sound of Thankful; its lyrics explore themes of heartbreak, love, and escapism. Kara Elizabeth DioGuardi is an American singer-songwriter, record producer, music publisher, A&R executive, composer and TV personality. She writes music primarily in the pop rock genre. DioGuardi has worked with many popular artists; sales of albums on which her songs appear exceed 160 million worldwide. DioGuardi is a Grammy and Emmy-nominated writer. She's a 2011 NAMM Music For Life Award winner, 2009 NMPA Songwriter Icon Award winner, 2007 BMI Pop Songwriter of the Year, and has received 20 BMI Awards for co-writing the most performed songs on the radio. "Miss Independent" is a song recorded by American singer Kelly Clarkson for her debut studio album Thankful (2003). Written by Clarkson, Christina Aguilera, Rhett Lawrence, and Matt Morris, with Lawrence serving as producer, it was released as the album's lead single by RCA Records on April 10, 2003. The track was initially intended for Aguilera's fourth album, Stripped (2002), but was left half-finished. Lawrence later continued writing the song with Clarkson, who eventually recorded it. "A Moment Like This" is the debut single by American singer Kelly Clarkson. The song was written by Jörgen Elofsson and John Reid and produced by Stephen Ferrera and Steve Mac. It was released as a double A-side with "Before Your Love" as her coronation single after winning the first season of American Idol. The song was later included on her debut studio album, Thankful (2003). "A Moment Like This" was a huge hit in North America, topping the US Billboard Hot 100 and Canadian Singles Chart. It eventually became the best-selling single of 2002 in the United States. The third season of American Idol premiered on Monday, January 19, 2004 and continued until May 26, 2004. 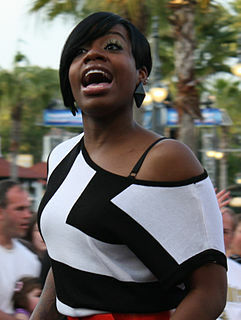 The third season was won by Fantasia Barrino, who defeated Diana DeGarmo by an approximate margin of 2% ; the vote total was the highest recorded vote total in the show's history until the May 23, 2007, finale of the sixth season. This season also featured Jennifer Hudson, who would subsequently win the 2006 Academy Award for Best Supporting Actress. This was the last season to be aired in standard definition, with the only exception being the grand finale. The first season of American Idol premiered on June 11, 2002 and continued until September 4, 2002. It was won by Kelly Clarkson. The first season was co-hosted by Ryan Seacrest and Brian Dunkleman, the latter of whom left the show after the season ended. 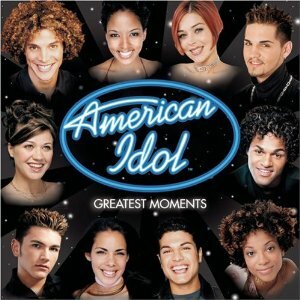 American Idol: Greatest Moments is the first American Idol soundtrack, with music from the first season of American Idol. It contains two cover songs from both Kelly Clarkson and Justin Guarini, the winner and runner-up of the original season, one song from the remaining eight finalists, one song by all the finalists, and Clarkson's two songs from her debut single as bonus tracks. It is the only American Idol album that endorses the winner's single. The album was released on October 1, 2002. "All I Ever Wanted" is a song by American rock band Aranda, from their debut studio album, Aranda (2008). The song was written and produced by Sam Watters and Louis Biancaniello and Dameon Aranda. In 2009, the song was covered by American singer Kelly Clarkson, for her album All I Ever Wanted, and it was released as a single on March 9, 2010. This page lists only acting roles and other projects undertaken in film, television and theater in the post-Idol career of American Idol contestants. It does not include guest musical performances or interviews on TV shows, or any pre-Idol work. It is also not intended to be a comprehensive list of all acting roles, appearances, awards nominated or won by any particular alum. Where there are multiple entries, only the more significant may be listed. Please see the appropriate links and references for individual alum for such more complete lists. "Don't Rush" is a song by American pop recording artist Kelly Clarkson, from her first greatest hits album, Greatest Hits – Chapter One (2012). Written by Blu Sanders, Natalie Hemby, and Lindsay Chapman, and produced by Dann Huff, it features country music singer Vince Gill on backing vocals. The song premiered on WSIX-FM radio station on October 29, 2012, and was made available for purchase on iTunes store on the following day. It was officially sent to country radio stations on November 15, 2012. Musically, "Don't Rush" is a country song with influences of country soul and soft rock. It is Clarkson's second country single as a main act. "As Long as You Love Me" is the debut and coronation song for American rock singer and American Idol season thirteen winner, Caleb Johnson. The song was written by The Darkness frontman Justin Hawkins in 2010 and will serve as a bonus track from Johnson's debut album, Testify. The song failed to chart on the Billboard Hot 100 making it the first American Idol winner's single to do so. "Piece by Piece" is a song by American singer Kelly Clarkson taken from her seventh studio album of the same name. She co-wrote the track with its producer Greg Kurstin. A midtempo pop song about restoring someone's faith in love and family relationships, Clarkson promulgated "Piece by Piece" as a sequel to the song "Because of You" (2004) but with a "happy ending". After a discussion with her sister about their family life, she introspectively co-wrote the song in a first-person narrative to her father, whose neglect of his family was used as a juxtaposition to her husband's unconditional love for her and their daughter, whom they both promised to never abandon. ↑ "Tamyra Gray Broadway and Theatre Credits". Broadway World. Retrieved November 14, 2018. ↑ "EXCLUSIVE! Tamyra Gray Marries in Italy". ↑ "'American Idol' alum Tamyra Gray is pregnant". Entertainment Weekly. ↑ "Tamyra Gray, Sam Watters Welcome Daughter Sienna Marie". People. ↑ "idollive.net - Informationen zum Thema idollive". www.idollive.net. ↑ Desk, BWW News. "Tamyra Gray & Cleavant Derricks Lead TWIST Musical at Pasadena Playhouse this Summer". ↑ "Norm Lewis & Tamyra Gray to Join Broadway's Once On This Island".